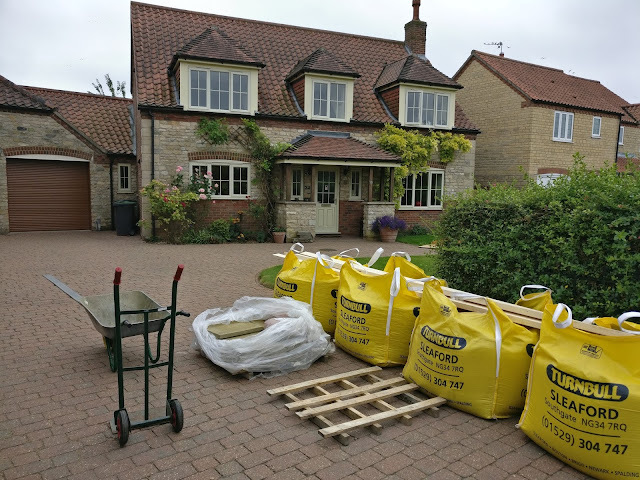 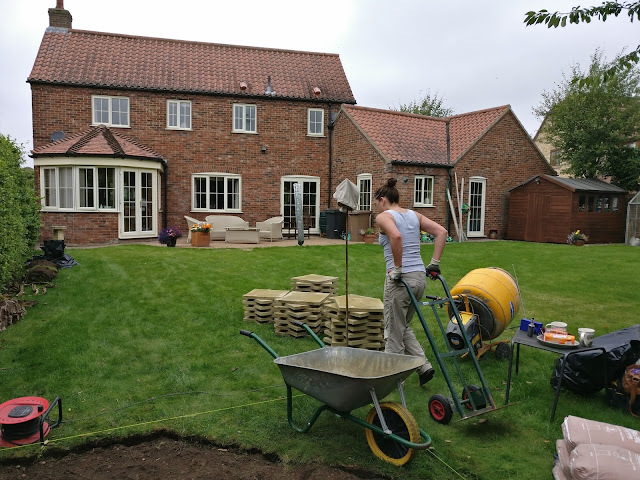 We have recently completed a project for a client in Wellingore, Lincolnshire. 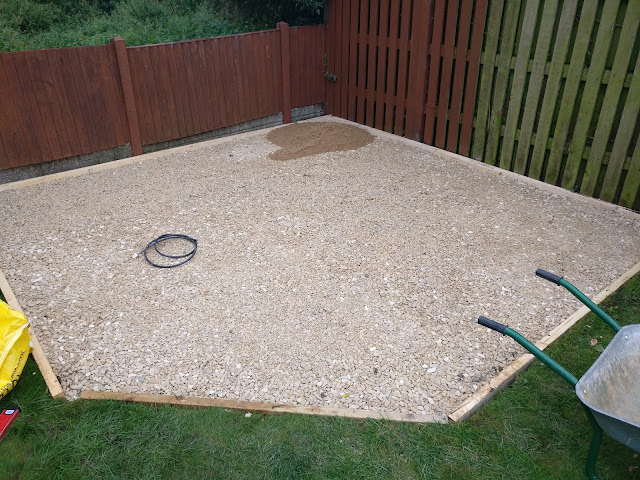 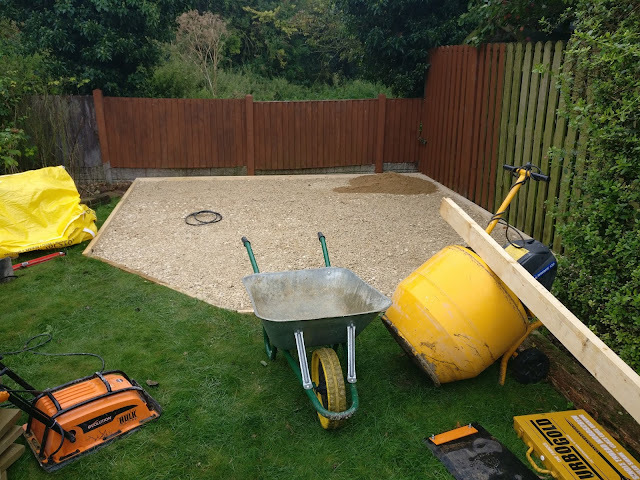 The project consisted of the removal of turf in preparation of a new purpose built base including sub base material, dry mix sand and cement base with a truncated square 4 meter flag stone finish. 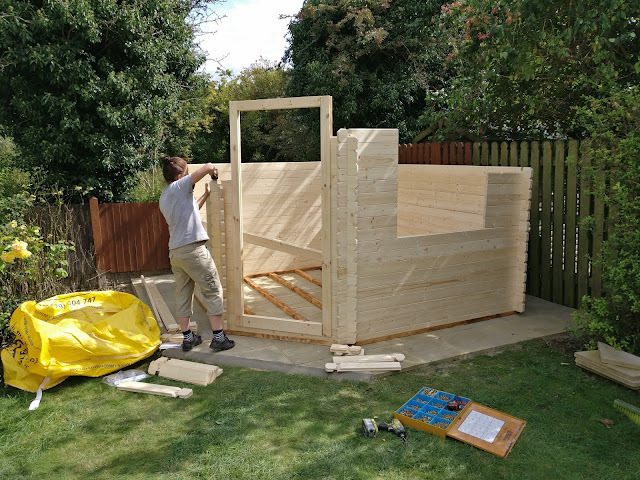 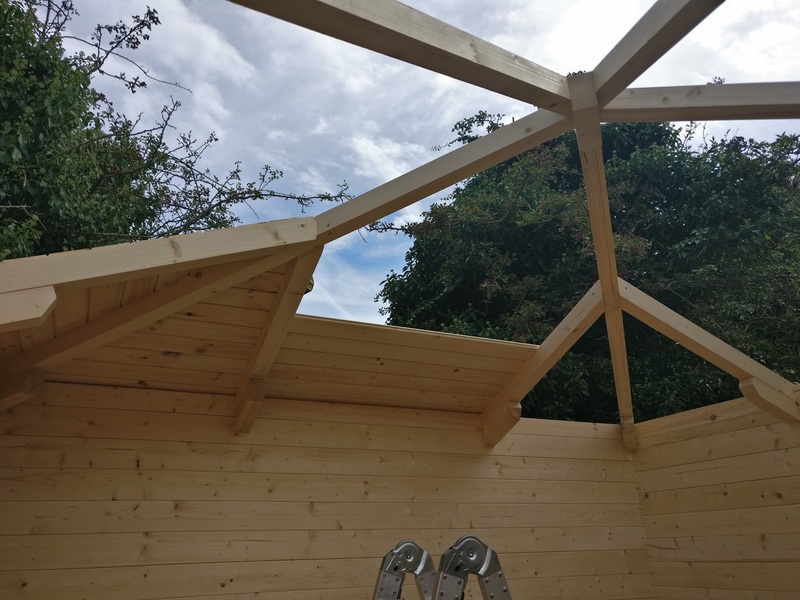 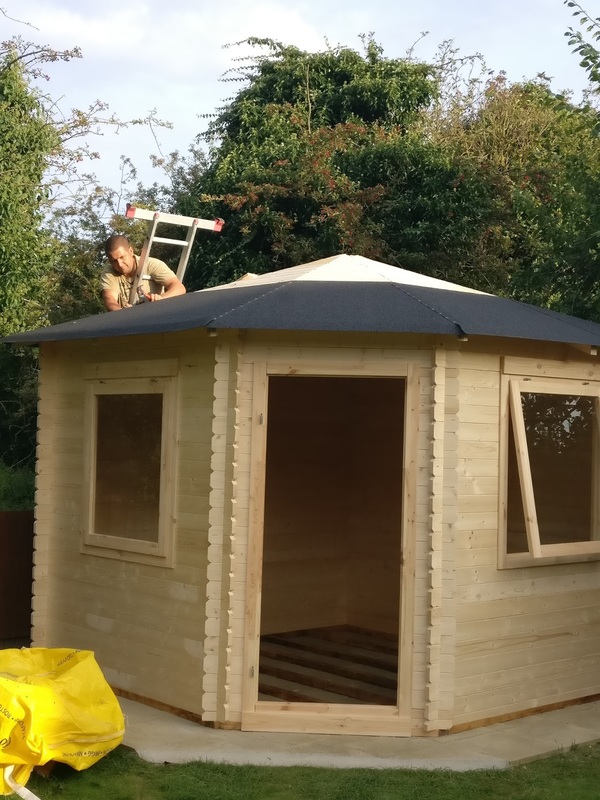 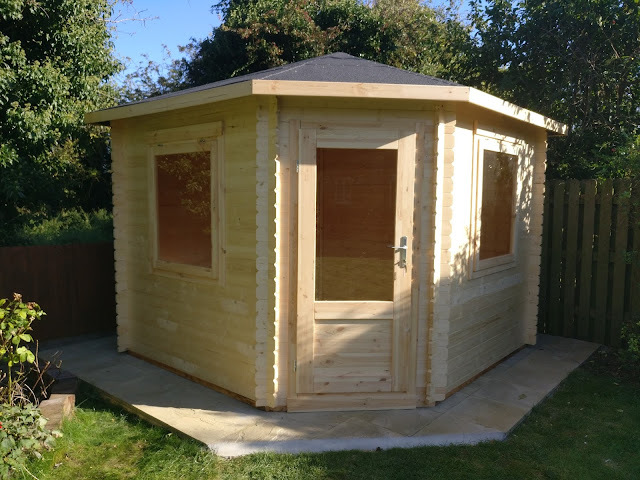 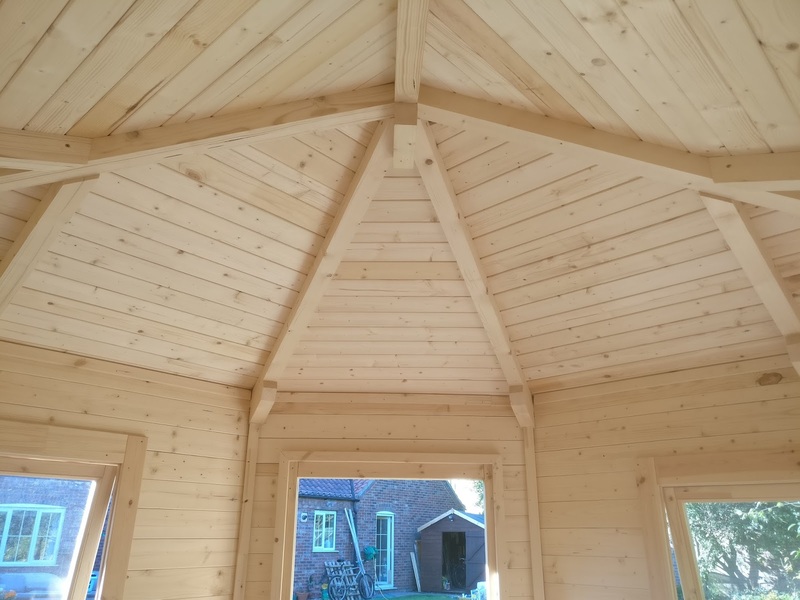 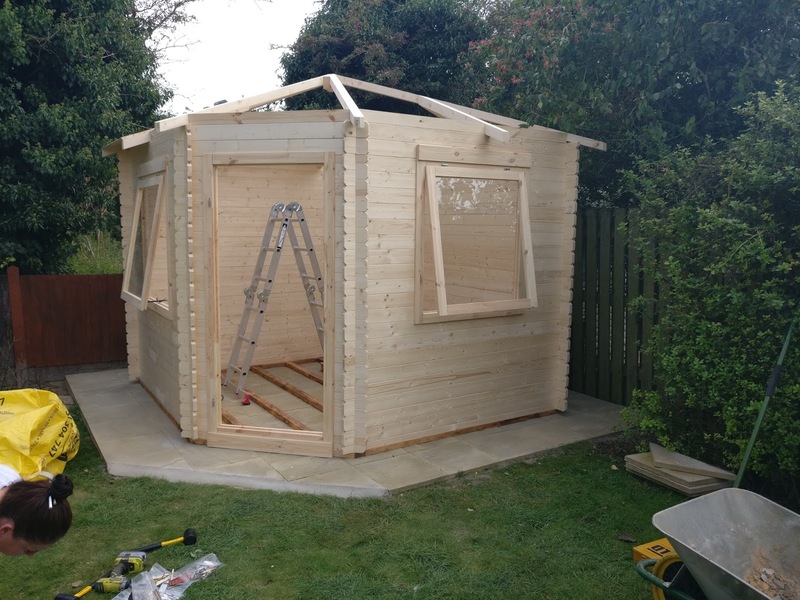 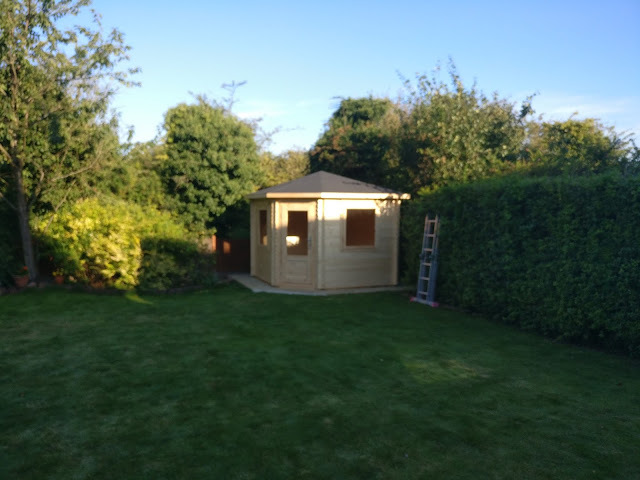 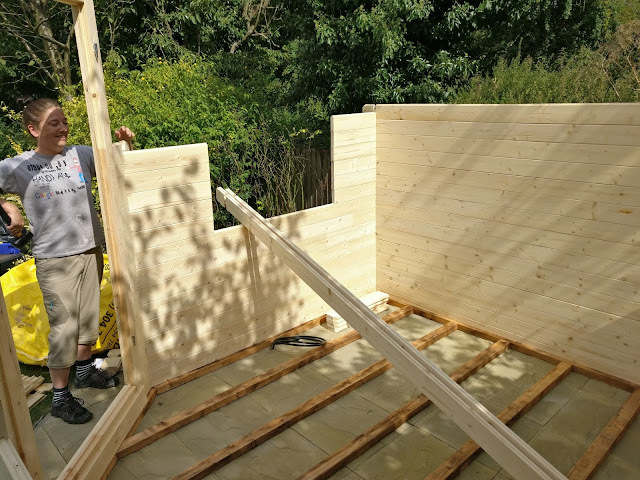 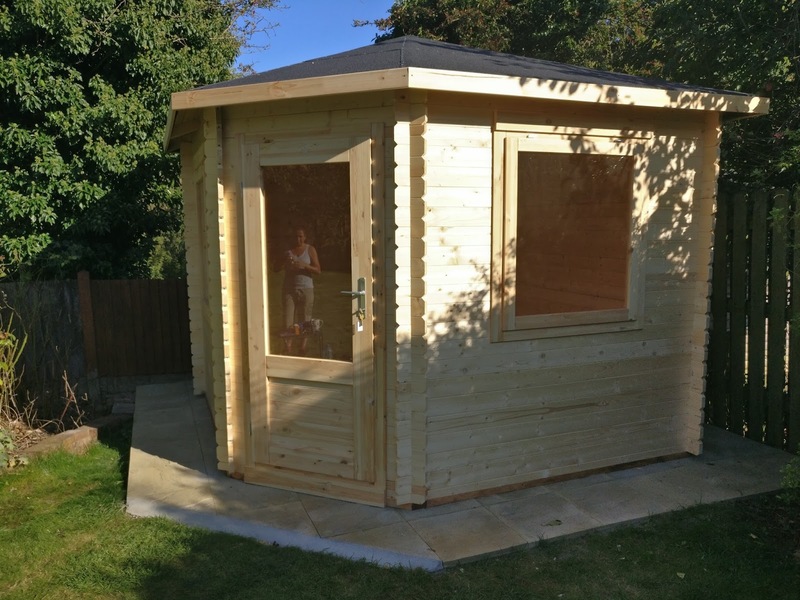 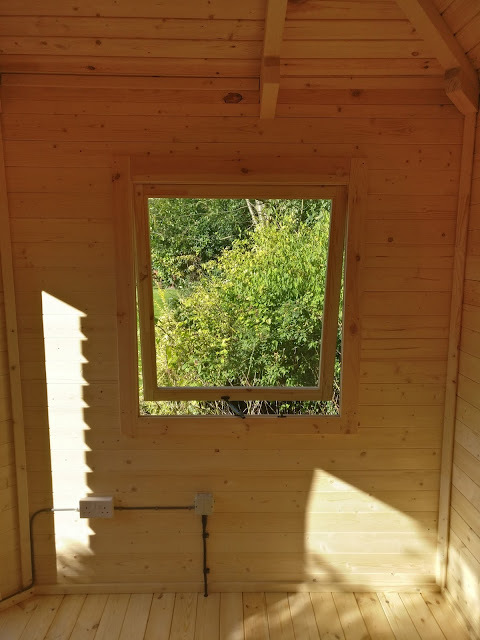 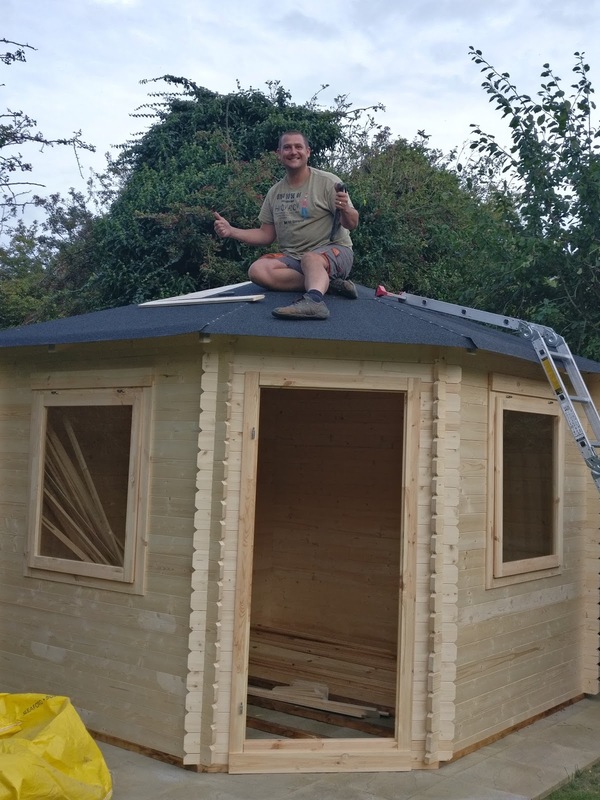 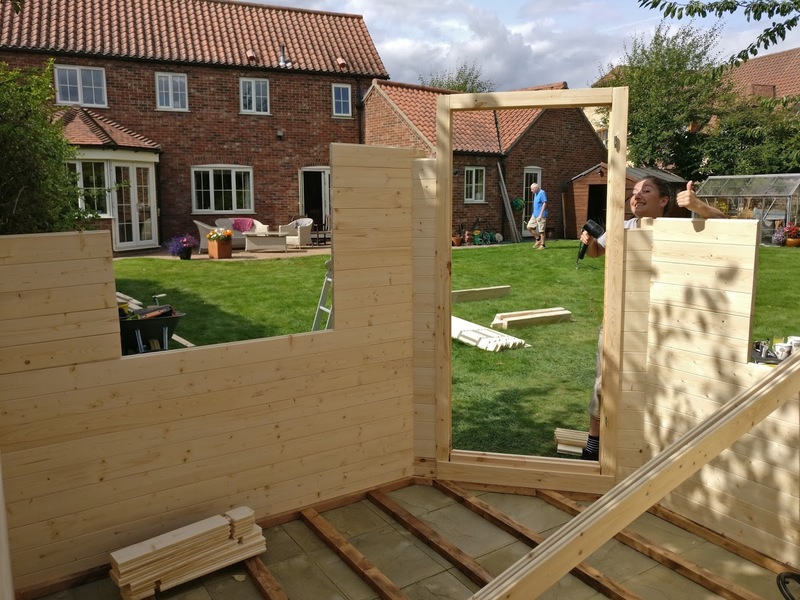 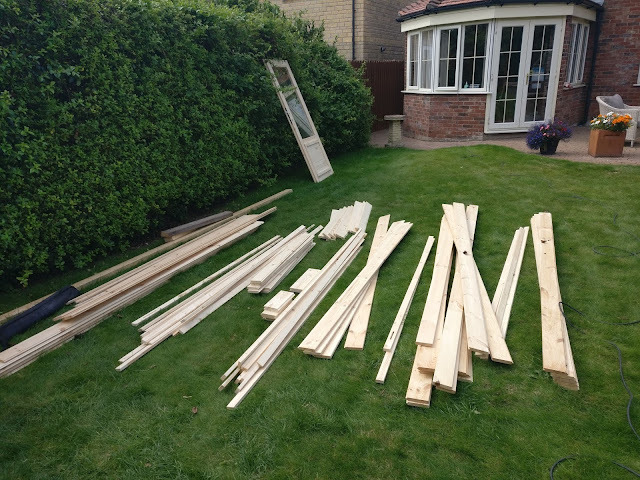 Then the installation of a Log Cabin Summerhouse to be used as an exercise room. Below are some images from start to finish of the project.